Never before has this much talent and this deep a field done battle on the bank. Meet the RDCL All-Stars and their opponents in the superteam tourney. The San Diego Derby Dolls and the Roller Derby Coalition of Leagues are gearing up for what is certain to be one hell of a way to open up the 2015 calendar year. 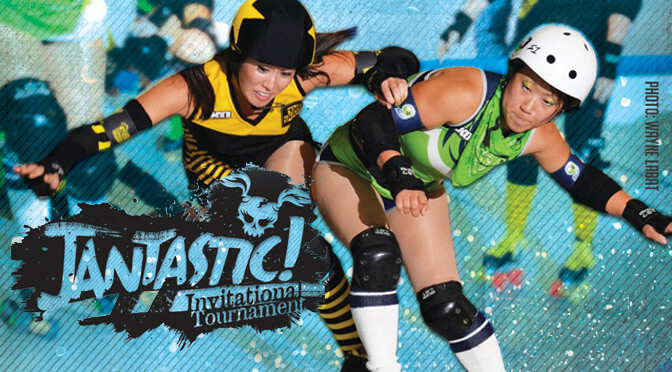 The inaugural Jantastic Invitational will see a number of all-star superteams descend on downtown San Diego this weekend, January 17-18, to take part in tournament that will not only try to find the best of the banked track, but also discover what RDCL roller derby can look like at its very best. This will be the first time in the modern era that every team in a banked track tournament field is of top-class quality and has a chance to make it to the final, if not win the thing outright. A quick scan of the rosters is all it takes to realize that this is a seriously loaded field worth clearing your weekend for. Of the six participating teams, five of them are filled with elite skaters from top WFTDA playoff teams, four of them have Team USA Roller Derby members fresh off their World Cup win, and three of them have a generous helping of some of the RDCL’s best current and former players and the wealth of banked track experience that brings. One of these teams is responsible for getting the idea of the Jantastic Invitational off the ground: The RDCL All-Stars. The best players of the five RDCL member leagues come together to defend their turf against (and promote RDCL derby to) all comers at the Jantastic Invitational. The RDCL super squad consists of top players representing all five RDCL member leagues—L.A. Derby Dolls, San Diego Derby Dolls, OC Rollergirls, Arizona Derby Dames, and Tilted Thunder Rail Birds—and is being positioned as a new way and new motivation for the coalition and its players to up their game and their overall profile within the roller derby community. The annual RDCL national tournament, Battle on the Bank, has fallen into a rut over the last few years. After the 2012 event in Seattle, outside superteams were barred from entering so as to keep the focus on promoting the full-time banked track leagues that wished to enter. This had the consequence of making the L.A. Derby Dolls, the powerhouse of the RDCL and one of the best teams in the world at the time, take three straight championships—the last two of which facing absolutely no resistance whatsoever. The recent lack of competition for the BotB trophy seems to be overshadowing the ridiculously competitive derby among the other teams and in their respective home league schedules. Isabelle Ringer bemoans the fact that so much of the general public isn’t aware of this, in part due to the RDCL’s small footprint. 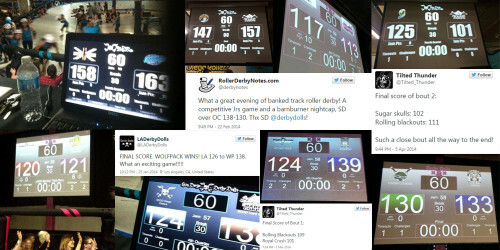 Here’s a sample of super-close final scores from inter/intraleague RDCL-rules games from L.A., San Diego, and Seattle in 2014. (This isn’t even all of them.) Not pictured: The more matchups that stayed close for a good portion of the game, and the even more that remained extremely competitive on a per-jam basis. After a pivotal conversation1I’m going to quote Ringer on this word-for-word: “The Jantastic Invitational was the brainchild of a conversation between myself, Isabelle Ringer, and WindyMan at the after party of BOTBVIII. Steven talked to me about how good the ruleset at the RDCL is getting but that the roller derby public is really not getting a chance to see much of it. … I don’t think WindyMan knew he planted that seed so deeply that night, but after a couple weeks of stewing on that thought, the Jantastic Invitational was born.” She later told me, “it really was the conversation. You were very drunk and trying to sober up to drive. I was very sober.” and some reflection, there was a light bulb moment. The Jantastic Invitational is a two-day round-robin to be played under RDCL roller derby rules.2For a quick primer on the major points of RDCL rules, see our 2013 rules analysis, which despite being a few years old, still covers the current ruleset (Version 2.5) in use by the organization today. Saturday will feature two pools of three teams each playing two 30-minute games to determine bracket seeding. All five games on Sunday will be full 60-minute contests, with the top pool teams advancing to the two semifinal games Sunday morning. The last games that afternoon will be between the two pool losers, followed by the two semis losers for third place. The two semis winners will then meet in the final to determine the champion. The first game kicks off at 12:00 p.m. PT Saturday (3:00 p.m. ET / 8:00 p.m. GMT). The entire event will be streamed online, live and free, on the San Diego Derby Dolls website. If you’re in the San Diego area—or suddenly acquire the irresistible urge to go to the San Diego area this weekend, which you might do after finishing this preview—you can buy tickets here. Below is the full schedule, plus an overview of the participating teams and their rosters. When the San Diego Derby Dolls put out a call for teams to size up against the best of the RDCL, it was natural that some of the best of the WFTDA would respond. Atomatrix of Arizona Roller Derby decided that her team of Atom All-Stars fit the bill perfectly. Atom sports a roster with two Team USA members, two WFTDA tournament MVPs—including Champs MVP Mutch Mayhem—and a majority of players with gobs of high-end flat track playoff experience. Picking them to win would be a safe bet in almost any tournament environment. But for Jantastic? Maybe not as safe. The raw skill on Atom is unquestionable, but other teams in the field have comparable talent. If there’s one weakness on this squad, it’s its relative lack of experience with RDCL play. 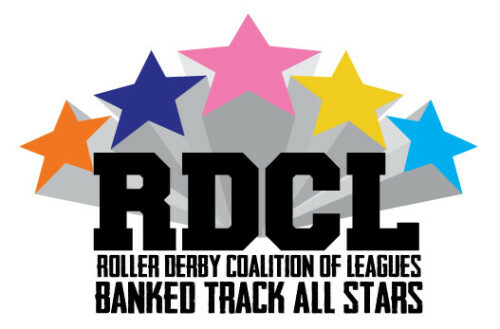 Most of Atom have played in banked track games before, but only Satan’s Little Helper of Angel City has previously skated as a member of an RDCL all-star travel team. That extra experience—or the lack of it on the part of her teammates—might prove decisive at some point this weekend. Roller bronies unite! Former Team Bionic and Oly Rollers mainstay Hockey Honey has put together a team that loves to “skate hard and wear lots of glitter.” The team of derby-skating humans (not derby-skating ponies) is primarily made up of good-to-great players from the L.A. Derby Dolls, Rat City, and San Diego Roller Derby. It can also boast that it has, technically, the most Team USA members: Baller Shot Caller of Team USA Roller Derby; Erin Jackson of Team USA Speedskating (and another WFTDA tourney MVP); and Hockey Honey herself, a member of Team USA Rink Hockey. The rest of the brigade is nothing to sneeze at, however. With a lineup that includes the likes of Rainbow Dash, Twilight Sparkle, and Applejack3LeBrawn Maimes, Kwyet Ryot, and Blaque Jac, respectively. Bonus points to “Blaque AppleJac” for working her punny derby name into an extra-punny My Little Pony derby name., this is one team that is—and isn’t!—looking to make friends on the track. This team may be the most deceiving of the tournament. The long-time pickup team for current and retired skaters has been around since 2008, and as such has seen many members come and go. The crew they’ve gathered for Jantastic might not look so different than one of its typical RollerCon rosters on the surface, but look again. 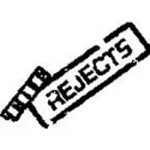 Half the players on The Rejects were previously all-star players on RDCL interleague teams for the L.A. or S.D. Derby Dolls in the not-too-distant past. Knight, LEGacy, Micki, and Razorslut were part of the core group of players that helped make LADD so dominant against all comers over the years.4Before rejoining her teammates at Angel City, Laci Knight was the coach of the LADD all-star team. They’ve proven that if you put a banked track under their skates, and they’re as good as anyone in the world at playing derby on it. Add to this AJ, Kim Janna, and Ivanna S. Pankin, among the others, and you get a team that probably won’t live up to their name this weekend. Which is just how they like it. 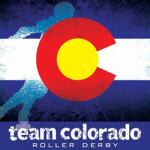 Team Colorado is the “teamiest” team competing in San Diego this weekend. Unlike all the other participants, which come together to play infrequently, Colorado competes as a group often. In fact, the team is right in middle of its own tournament season; it won the first State Wars tournament in Novemeber, and next month it will head to Pennsylvania for Battle of the All-Stars II, another state-level mash-up tournament. Having a roster and coaching staff that knows individual strengths and weakness and what line combinations work best in a given situation is a nice advantage in a cutthroat tournament like this one. A regular schedule to foster teamwork is an excellent quality for a group to have, but more than that is needed to survive in the minefield that is Jantastic. Of course, Team Colorado has more—as if anchoring your roster with the best players from Denver and Rocky Mountain wasn’t already enough. Here’s another group that’s got a lot of familiar names to regular followers of RDCL derby. Though the”bitraxual” moniker is not inaccurate, it’s got a decidedly banked track slant this weekend. Twelve players on the 14-woman roster have more primary experience playing competitive tilty-track go-skate derby than the two-dimensional stop-go stuff that all the hipster kids are experimenting with these days.5It’s just a phase. They’ll grow out of it eventually! 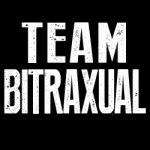 In fact, I would even go as far to say that had Jantastic taken place two years ago, most of the names on Team Bitraxual would have likely been picked for the RDCL All-Star team. Miss Vicious Applicious and RegulateHer are two of the banked track’s deadliest blockers. Laguna, Dobbins, and Deja Deja; a trio of pretty damn good jammers. Gori Spelling is a true double threat, the only player in the top 8 of both scoring offense and blocking defense during her last final LADD season last year. This is a quality team. Watch out for them. Last but not least, the RDCL All-Stars, the reason why we’re having a super-fun superteam tournament in San Diego this weekend. Unlike the other participants in the field, these skaters are here to represent their leagues and the RDCL as a whole, just as much as they are there for their ability. Every RDCL league contributed to the All-Stars at least two of their best players, with how many more past that based on their performance at Battle on the Bank VII. Reigning RDCL triple-champs, the L.A. Derby Dolls, understandably makes up the bulk of the roster with seven players. BotB runners-up Arizona Derby Dames earned three spots, leaving the rest with two picks each to fill out the full 16-player list. This team and the Jantastic Invitational could not have come at a better time for the RDCL. Many of the organization’s best players have recently retired, “retired,” or transferred to nearby flat track leagues, noticeably diluting the banked track talent pool. (Count the %s on these rosters: 17!) A deep subpool in L.A. is making up the difference quite nicely there, but other RDCL leagues are slower to catch up. For that reason, it’s difficult to favor the home team on their home turf. With the level of competition it’s facing this weekend, it will be a very tall order to ask the full roster to play at a high level. Then again, this team and this tournament was never really about going in to win it. It’s really about showing the world how the RDCL plays roller derby. No matter how the RDCL All-Stars perform at the Jantastic Invitational, it’s a sure bet that the RDCL and roller derby as a whole will come out a winner. You can be even more sure that this team will be playing with something to prove. But can they? It’s going to be a hell of a ride to find out. Actually, every team bitraxual skater had competitive banked track experience! Lady Quebeaum was on the charm city roster that beat Arizona at ProRollerDerby banked in 2012. Cannibelle and I currently skate with AZRD (that stop-go stuff) and Lora Stabs was with Arizona Derby Dames for years, even athletic director for some time as well as being a HotShot!